Spiritual Entitlement: Are we practicing low grade snake handling? Here is the report by By ARLETTE SAENZ at ABC News: A “serpent-handling” West Virginia pastor died after his rattlesnake bit him during a church ritual, just as the man had apparently watched a snake kill his father years before. Pentecostal pastor Mark Wolford, 44, hosted an outdoor service at the Panther Wildlife Management Area in West Virginia Sunday, which he touted on his Facebook page prior to the event. 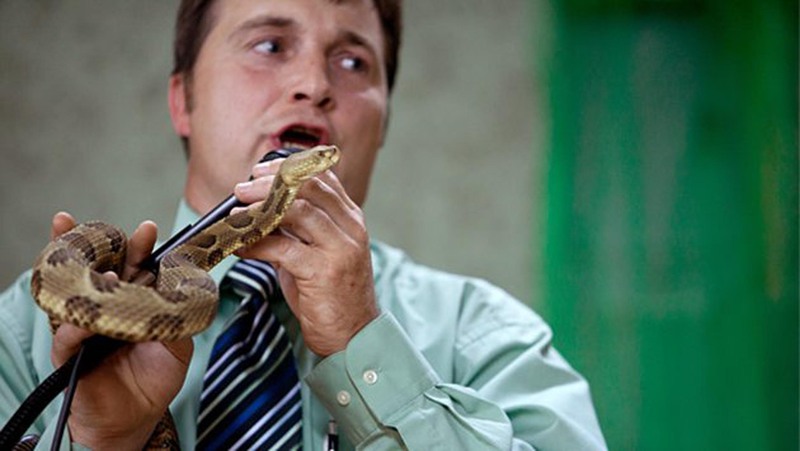 Robin Vanover, Wolford’s sister, told the Washington Post that 30 minutes into the outdoor service, Wolford passed around a poisonous timber rattlesnake, which eventually bit him. This is a terrible, terrible event and we respect and grieve with the family this man left behind. However, we must see what happened and see if there is a message here for all of us. They are tempting God by violating the context of these verses. We are to cast out devils on purpose. We are to deliberately speak in tongues. There will be signs of divine protection for accidents with snakes and poison. Even the snake handlers must subconsciously sense that this is true because we do not see them deliberately drinking poison to prove their faith. But is there a subtle sister to this sin, and is it widely accepted? My humble opinion is yes. I call it SPIRITUAL ENTITLEMENT and I consider it the greatest threat to the fledgling revival of signs and wonders. To see how entitlement works in the spiritual we must first see it in the natural. The spirit of entitlement is so pervasive that the American Psychological Association (APA) now defines an entire generation as the Entitlement Generation: “the group born between 1979 and 1994 who believe they are owed certain rights and benefits without further justification. Example: The entitlement generation expects higher salaries, flexible work hours, and ample time off.” In other words, by some strange occurrence, between 1979 and 1994, millions of Americans were somehow born French! (Sorry, I couldn’t help it). Let me get serious. Spiritual Entitlement is low grade snake handling. It is insisting that God owes you gifts, success, and exotic experiences. It is boasting of spiritual authority without justification. It is instantism. “I am instantly an Apostle. I am instantly in charge. I am instantly deserving of recognition. 1. Feeling entitled to extreme emotional outbursts even if it drives away lost souls. We must stop outbursts that are not generated by the Holy Spirit, but are generated by the need for attention. No one who attends our meetings can accuse us of quenching the Holy Spirit. Our meetings are boisterous but not emotional melt downs. I believe that there are times where God asks us to sacrifice our dignity to Him in worship. However, I have found that when it is God even the lost see the wonder in it. Paul understood that we can lose souls by selfish manifestations. 1 Corinthians 14: 23 Therefore if the whole church comes together in one place, and all speak with tongues, and there come in those who are uninformed or unbelievers, will they not say that you are out of your mind? 2. Feeling entitled to titles with no proven character. “I am Apostle so and so,” or “I am prophet so and so.” I wish we would dispense with the titles altogether, and just focus on proving and functioning in our gifts clothed in humility. 3. Feeling entitled to miracles: God heals out of mercy. We must never forget that. We cannot assume that we are going to walk out and produce mass miracles. The Holy Spirit moves as He wishes and is under no obligation to operate on our terms. We all know when we are in a meeting where someone is trying to force something to happen. 4. Acting over familiar with God. Whatever happened to reverence? We see people talk about Jesus and the Holy Spirit as if they were beer buddies. Too many people are running around saying, “God told me this and God told me that.” What we should be saying more often is “the Bible says.” If in fact God has told you something, say it with fear and trembling or God will stop talking to you. 5. Assuming that God will always repeat Himself. We should never assume that God is going to do it the same way every night. We should not try to copy the style that God has worked in another Church. Jesus wants to do something original to your city. It is designed to touch the special cry of those in your area and to destroy the demonic power that is unique to your city. Losing your sense of entitlement and gaining a sense of God’s Grace is an awesome thing. You lay down the frantic quest for significance, and the exhausting work that accompanies it, and instead rest in the fathomless love that God has for you and the deep assurance that you will reap great rewards if you do not faint. You will see that the gifts God wants you to have are infinitely greater than the ones you may be trying to grasp on your own. The devil wants to discredit the revival. In many ways we must face the fact that we are not ready for primetime. We are not ready for the glare of public scrutiny. It is time to hide ourselves in Jesus and let Him lead us forward into battle. I am the Grandfather mentioned in the above recounting of the May 27th service at Living Word Family Church in Santa Rosa with Mario Murillo. As Living Word Family Church was not my home church and those at the service did not know of my situation, I was asked several times while leaving the service about my granddaughter’s and my situations, so I will take this opportunity to tell you a little bit about me and my family. I have been married 39 years, the father of 3 daughters, the grandfather of 4 granddaughters and 2 grandsons. My wife and I have had a very good life and I planned on retirement by the time I was 60 which is just a couple of years away. Then the Great Recession hit. I have virtually seen my business wiped out in the housing industry in the last 5 years. Additionally, in the last few years I have poured everything I have into saving my business, my home and everything I have accumulated over my lifetime. I have tried to do the right thing by putting everyone else first and sacrificing myself for my family and employees. When it didn’t seem that it could get any worse, in the last 2 years, I lost my business partner and best friend to cancer, my accountant in the business to pneumonia, my favorite and last surviving uncle to heart failure and my mother, who has struggled with severe rheumatoid arthritis for over 50 years, to heart failure and pneumonia and a 39 year old nephew to a flu virus that attacked his pancreas. During all this time I didn’t tell anyone but I was having constant chest pains and was concerned that I was going to have a heart attack. I was taking cholesterol and high blood pressure medicine and I would sleep with my Bible clutched to my chest every night and constantly prayed for strength and wisdom to make it through another day. When I didn’t think things could get any worse, 7 months ago, on a spur of the moment motorcycle ride, on a winding and narrow road near Glen Ellen, the edge of the roadway broke away and I plunged over a 30 foot cliff off Sonoma Mountain Road into the Sonoma Creek. I sustained a broken back, a fractured pelvis, a broken and dislocated hip, 8 broken ribs, a fractured elbow and trauma to my head and neck. After 3 hours of rescue efforts, several days in intensive care, emergency surgery in which I was given a 50/50 chance of surviving the operation, and almost a month in the hospital, I was left in constant pain and unable to work or even to fully care for myself. Kaylee is my 5 year old granddaughter that is in the above recounting of Sunday nights service. Kaylee has always called me “Poppy” while I am “Papa” to the others. She is smart, precocious, tenacious, and doesn’t give up on anything and more than any of the other family members thought that her Poppy walked on water. Kaylee mysteriously developed debilitating pain and swelling of her ankles and knees 2 years ago. She couldn’t walk up stairs, run, ride a bicycle, swing on the monkey bars or keep up with the other kids of her age. Her mother and father have had continuous tests, including frequent visits to the Children’s Hospital in San Francisco, with the diagnosis always pointing to juvenile arthritis, Lyme disease, or any number of autoimmune diseases. At times Kaylee could not walk at all and had to be carried wherever she went. Even on good days, Kaylee fought to keep up with the other kids and really had a hard time that her 3 year old sister could physically do more than she could. Last Thursday, Kaylee stood in front of the entire school, the parents and grandparents and guests of over three hundred attendees and boldly announced the Kindergarten program at the Windsor Christian School. Kaylee’s teacher told her mother, my daughter, that Kaylee really loves Jesus and constantly pronounces her faith and is an inspiration to her and her class. Last Saturday, the day before Sunday’s service, after watching something on television that must have had something to do with “wishes”, she announced to her mother that if she had one wish, she wished that she didn’t have arthritis anymore. During the service, when Mario Murillo asked the audience to place their hand on someone’s shoulder to pray for them. Kaylee would place her hand on my shoulder and close her eyes. My wife and I had our hands on Kaylee’s knees. We were all praying for a miracle. I prayed before the service for God to heal Kaylee and for Him to give her my portion of any healing. When Mario Murillo appeared near closing the service, my wife said “Let’s take Kaylee up to the front”, I agreed but before I could act Mario, walking back to the front of the church suddenly turned around, pointed to me and asked me to stand. He said God had something for me, I said, “No, my Granddaughter… “then my voice broke down. The rest is in Mario’s recounting of the events above. After the prayer and the announcement from Mario that we were healed, while I wept, Kaylee pumped her little fist in the air. The next day Kaylee was running and playing with the other kids and I was carrying my Grandchildren around and pushing them on the swing. By the grace of God, I am proclaiming that Kaylee and I are healed and ask for your continued prayers for Kaylee and your prayers and blessings for Living Word Family Church and Mario Murillo Ministries. Driving home from Santa Rosa I kept thinking about how extreme life is right now and how we nearly missed this miracle. It should never surprise us when God answers prayer however, the force and suddenness of the outbreak of miracles in Santa Rosa came out of nowhere. I know how terms get bandied about and how much hype continues to foul up the air. The best thing that I can say to you is you should ask someone who was there besides me. They will reaffirm that it was a clash of thunder accented by a drenching rain of God’s presence. This is a time of extremes and contradictions: Things are moving way to fast. Things are moving way too slow. Things are way too complicated. Things are way too simple. There is a great danger if you hesitate. There is great danger if you jump the gun. Besides all of this, we are living in a “Best of times, worst of times” scenario. Revival and righteousness is catching fire all around us. At the same time rage, perversion and violence are accelerating. Our economy is showing signs of life in some sectors but storm clouds are gathering in others that threaten to derail our gains and push unemployment back up. Santa Rosa is a miracle we nearly missed because we couldn’t see it coming. I should have been ready to move in an instant with God. On the other hand, I almost blew it by forcing some doors open in other situations instead of waiting on God. I should have taken the hint that if things are not falling into place it is because God wants me available for a block of time to harvest in a city. 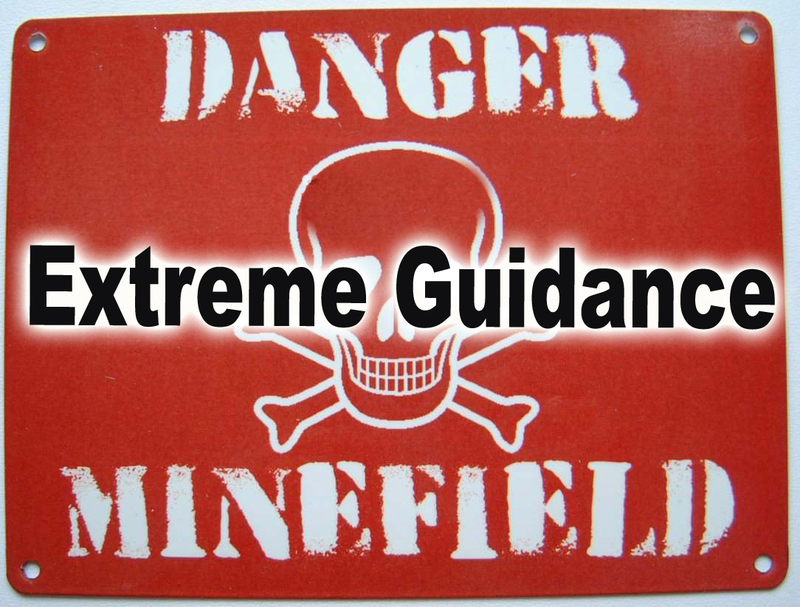 My dependency on God must grow from guidance into extreme guidance. I must discover the nuances of a very fluid time in history. I must hear God’s voice on a more basic level than ever. This is a time to discard all human opinion and rid ourselves of all presumption. The margin for error is now razor thin for all of us. Little mistakes can now cause outsized damage. Like the times that we live in, guidance from the Holy Spirit can seem to contradict itself. One moment, something may be the way to go and the next, we have pivot violently and head in a new direction. I know why running can make you weary but why would walking make you faint? Galatians 6:9 says,“And let us not be weary in well doing: for in due season we shall reap, if we faint not.” It is by waiting on God that we discover if we are in a situation where we need to jump, run and seize a divine and not be winded by the dizzying pace. Or, we need to draw strength from God to realize that things are going to feel like they are moving like a glacier, so we are not overcome with discouragement. Proverbs 3:5,6 says, “Trust in the Lord with all your heart, And lean not on your own understanding; 6 In all your ways acknowledge Him, And He shall direct your paths.” This verse is no longer a poetic ode to be admired like some painting; it is a survival guide to be followed to the letter! The word all is there twice for reinforcement. All: Ministries, marriages, businesses, careers now have to be run with a higher level of sensitivity to and trust in the voice of God. We must bring Him in on the little things as well as the big. We must cover all of our affairs with prayer and leave nothing to habit, past procedure, tradition, methodology, or biases. 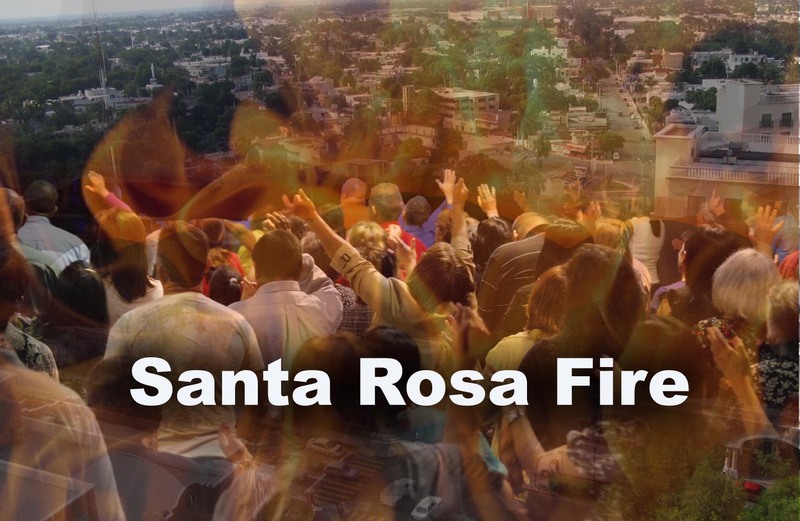 The Bible speaks of “the day of vengeance of our God.” Pentecost Sunday in Santa Rosa was a day that God seemed to be having vengeance on the powers of darkness in Santa Rosa! You better sit down because here we go again! A mighty outpouring of God has come to Santa Rosa. God began to heal cancer and every other disease with a vengeance. Power was so deeply present that fear came on my soul. Heaven was trouncing the earth! Here we go again. The Spirit of God falls mightily in Santa Rosa. Just when the devil thought that Clearlake was a fluke we have another explosion of miracles in a Northern California church. We went to Living Word Family Church for two services yesterday. Now we are faced with the fact that another undeniable outpouring has started. Pastors Larry and Janice King , along with intercessors in their congregation at Living Word Family Church have been storming heaven for 7 years for awakening. God chose of all days, Pentecost Sunday to answer their prayer! From the jump it was obvious that the audience was filled with expectancy. A capacity crowd filled the sanctuary on what was also Memorial day weekend, notorious for wreaking havoc on church attendance. From the looks on the people’s faces it would not matter if we were trying to have a meeting on Christmas morning. They were hungry, they were on fire…they were ready. All day long miracles took place. I am not sure that I have ever seen so many people healed so quickly and so totally. The Holy Spirit drove me to a woman I asked her to stand. The next thing I know, the Holy Spirit says, “there are so many things wrong in this woman’s body that you must speak quickly to get to all of them.” As I mentioned each disease she would say, “yes.” I was amazed that the word coming forth mentioned a disease for virtually every part of her body and every vital organ in her body. The whole audience observed in stunned amazement as Jesus reconstructed her. Moments before, walking without pain and agonizing restrictions would have been out of the question. Now it was all gone, she could walk, bend, breathe, twist and then she rocked the house by running! When the meeting seemed to be ending, a woman stood and interrupted the crowd. “I am not leaving until you pray for my niece!” She yelled. God told me in the calmest voice, “it’s okay, pray for her, she has brain cancer.” A power surge hit the whole building and no one could deny it. It was indeed brain cancer and now all possibility of doubt left the building. We tried again to end the meeting but God was not through yet! My heart and mind were so dominated by Christ that I felt I had lost all personal opinion on anything. By the Spirit, I asked a man in the back to stand. I told him that he was concerned for the little girl seated near him. It was his granddaughter who looked about 4 years old. Then I told him that God wanted to heal him first. Once again, a list of conditions poured forth by the mercy of God. Back, neck, arms, legs, heart, lungs all come under the focus of Jesus. We found out later that this man was in a motorcycle crash that sent him off of a cliff. Now all of the pain, the damage from the wreck, plus the heart condition was swallowed up in a surge of power. I said, “now pick up your granddaughter,” the power began to flow through her little body. There was not a dry eye in the house as this grandfather wrapped his arms around his granddaughter suffering with severe rheumatoid arthritis. Healing virtue radiated from both of them. This report barely scratches the surface of what happened last night including the souls that were saved. We are now seeking God for the next step in what we know will be a massive outreach of souls in Santa Rosa…again, stay tuned many more amazing reports are coming soon! Jesus introduces us to an amazing woman. He picks her story because she is a widow. You could not find a more desperate situation or a more helpless person. Through circumstances that are completely out of her control she is being defrauded of her inheritance, her home, and her meager pension. How could a life once filled with love and security end in up in an old age of , humiliation, homelessness, and starvation? Yet this is precisely what is happening right now all over America. Amazingly, this widow will teach us a great lesson on prayer not by praying but by demonstrating the power of human persistence. She memorized the judge’s routine. She stood for hours outside the court house. She was there when he walked in and when he walked out. She followed him to restaurants, the marketplace, and even to his home. Late at night when he tried to sleep she would cry to him from outside his window. Finally it was too much for the judge to bear: “afterward he said within himself, Though I fear not God, nor regard man; 5Yet because this widow troubles me, I will avenge her, lest by her continual coming she weary me.” In mere human terms, importunity must inevitably triumph. How much more! Jesus now says, “Hear what the unjust judge is saying!” And shall God not avenge His own elect who cry out day and night to Him, though He bears long with them?” Jesus is contrasting two extremes. How much mightier is fervent prayer than human persistence? If importunity brings results on a human level how much more are we certain to see results in prayer? How much more will God the Father, who gave His only Son, hear us than a cold unfeeling judge? This parable proclaims, she held on until she got victory; even though she had no hope, no love, no comfort, no Holy Spirit, a cruel judge, and a vicious predator. How much more then can you hold on in prayer since you have a loving almighty Father, the Holy Spirit and the Word of God! But Jesus warned that there may be a delay in the answer! But why is God waiting to answer me? It is clear from the story that this widow’s adversary had defrauded her. He committed a crime. She was begging the judge for justice. However, to get justice would mean that this man would go to jail. It would mean his ruin. There may be a villain in your life who is robbing you. The delay maybe God’s giving them a last chance to make things right. Another possibility: God delays success until He knows it will not destroy you! Ahab had agents all over Israel searching for Elijah to kill him. Premature promotion would have destroyed Elijah. It must have been sheer torture for such a righteous man of God to watch the wholesale dismantling of God’s law in a nation born of God. He begged God to get him back in the battle. Instead, God orders him to let a widow provide for him. You may think that your talent and accomplishments should have opened doors for you by now but there are divine reasons for delay. Beyond this there may be a myriad of reasons, all with our very best in mind. However, a breakthrough is inevitable! Let me say this to you with compassion and conviction. It is life and death for you to gain a new awe and respect for the power of importunate prayer. Times have changed. Aggressive evil, rampant disease, financial earthquakes, and convulsions in nature demand a new kind of prayer warrior. We have no promise that the sun will rise tomorrow but we do have the greatest and surest promise of all: “And shall God not avenge His own elect who cry out day and night to Him, though He bears long with them? 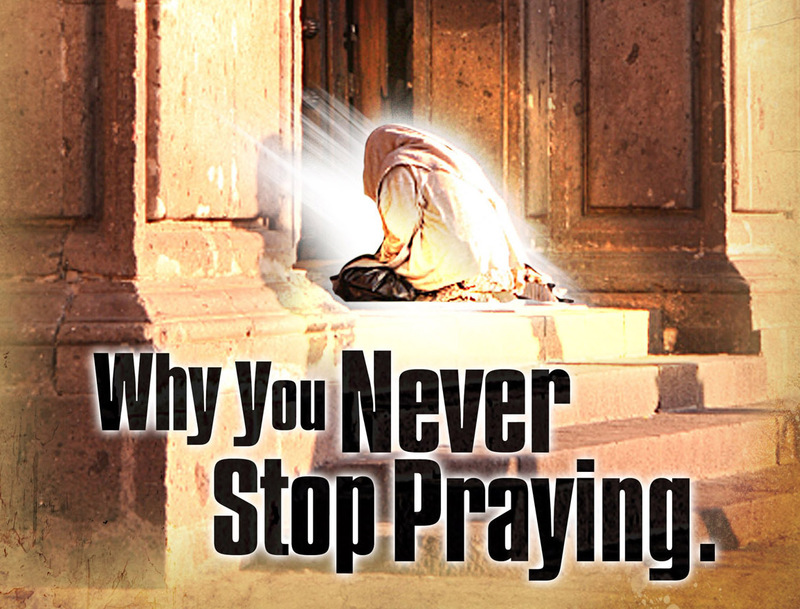 8 I tell you that He will avenge them speedily.” This is why you never stop praying! When you know you will recover from a wounded heart. WHEN, that is a powerful word. It means in the event of or if certain factors exist. 1. When you pray about your problem more than you think about your problem. The Bible gives simple but profound advice in James 5:13 “Is anyone among you suffering? Let him pray. “. This verse flatly calls prayer a painkiller. Here is the habit you need: replace the paralysis of analysis with prayer. Turn all of those thoughts of regret and anger in to prayer. Take all of the energy you use to figure out your crisis and divert it into prayer. When thoughts of dread and shame assail you at night funnel them into prayer. God does want you to talk about your enemies; He just wants you to do it in the secret place of prayer. Here you can scream and complain all you want about your enemies. Here is where you vent and rage against your misfortune. 1Peter 5: 6, 7 Therefore humble yourselves under the mighty hand of God, that He may exalt you in due time, casting all your care upon Him, for He cares for you. 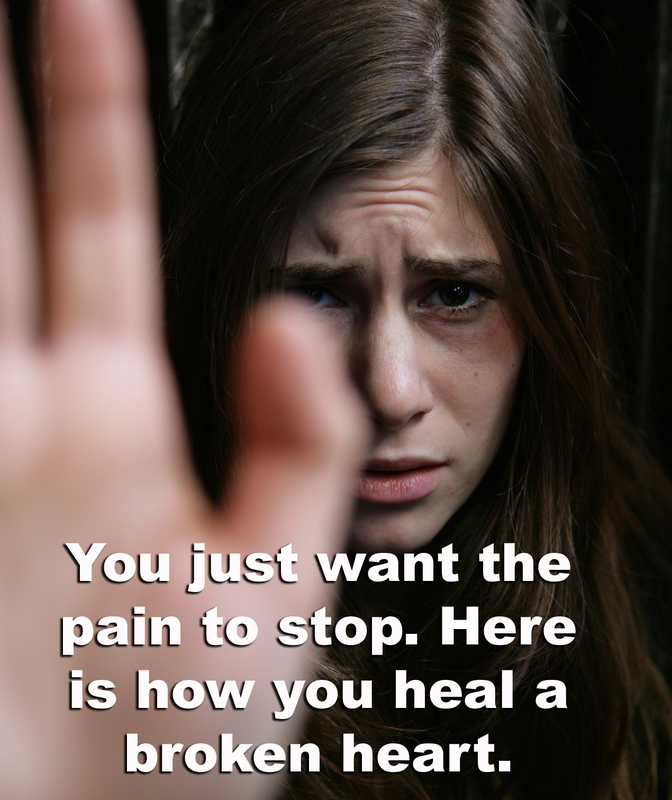 During intense emotional pain, negative thoughts race through your mind. You analyze, rehearse, and regret and day dream about your problem. You worry, you fret and you want to lash out. This torture can only deepen your wound. Submerge all of your these thoughts in prayer. You must develop this automatic reaction. 2. When you examine your own faults more, than you examine the faults of your enemy. Jonathan Edwards said,” A true saint of God is suspicious of nothing more than his own heart.” We are very complex creatures capable of hidden motives. Have you ever noticed that when you drive on the freeway that the person in front of you is going too slowly and that person behind you is going too fast? That is because we assume that we and we alone are driving the right speed.
. Even if you are clearly not the one at fault for your heartbreak that does not mean that you are innocent. It takes deep wisdom to examine yourself when you feel violated. There are big reasons for examining yourself. For one thing, you never want to go through this again so it is urgent for you to see why you chose a wrong mate or how you opened yourself up for disaster. However, if you ask me the biggest reason why, in the face of even the greatest betrayal that you should examine yourself it is about power. As long as you focus on your enemy, you give then power. When you fixate on people over whom you have no control, it only increases your sense of anger and helplessness. If instead you divert that energy into a partnership with Jesus to build a new and better you healing speeds up. 3. When you want God to clear your path more than you want Him to clear your name. . In any crisis, there are lies. I am sure that someone has lied about you. You want to clear your name. Do not do that, clearing your name is your last resort. There were only a few times in my life where God allowed me to defend myself. The only times when I was free to speak in my own defense is when God was at work defending me and allowed me to be a small part of His miracle. When God says, “Vengeance is mine”, He is not kidding! Lawsuits only bless attorneys. A war of words leaves no winners. A divorce battle is like a gunfight between Siamese twins. Withdraw your foot from strife. Let it go. Here is a life sign for you…when you want direction from God more than you want vindication from man you are assured that you will live again , love again and laugh again. If you put your energy into finding and heading in the right direction, God will work on clearing your name. 4. When you realize that what you have gained is greater than what you have lost. The story of Job can give us a lopsided perspective. His entire ordeal lasted about nine months but it led to a lifetime of well, there is that word again “unimaginable” blessing.I do not want to minimize your loss I know it was great. You can never replace loved ones who have passed on. God is not trying to give you a substitute for your loss but a new and different blessing. Your old dream has died but a new and unique dream is coming. In the coma of heartbreak, you forget how many people love you, how many of your fears are unfounded, how much opportunity is out there, and how much power there is in just trying one more time. 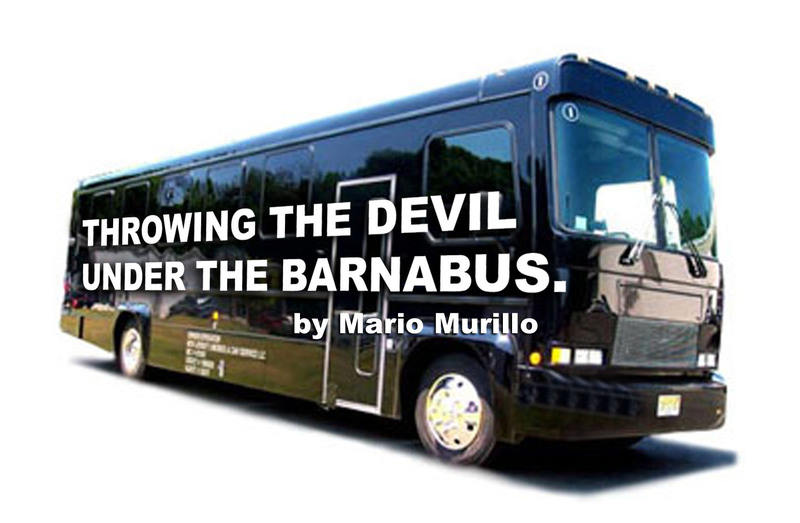 Throwing the Devil under the Barnabus. Rodney King once asked, “why can’t we all just get along?” I am asking another question; Have you thought about the devastating price we are paying because Pastors do not get along? More than drugs, atheism, the liberal press, or any other social ill, the number one reason more souls are not saved, is because cities are cut up like gang turf, and churches refuse to get together, and preach the Gospel to their city. The truth gets even more ominous. Here in America our Christian birth rate has fallen to a dangerous tipping point. The number of people we are converting to Christ today does not match the number that are dying off. In simple terms, our influence in America is dropping because there are less and less of us. There is a hero in the Bible that we need today. We need Barnabas. Yes, I deliberately misspelled his name in the title of this blog. As a Christian, you feel Barnabas’ gift every day. He gave you a complete Bible, you have a rich tradition of 2,000 years of Christianity. You see when Saul of Tarsus was converted the leaders in Jerusalem didn’t believe it. Saul had imprisoned family members. Deep scars kept the church from assimilating this key new weapon into the Kingdom of God. Barnabas put his considerable reputation on the line to bring Paul into the fold. Without this courageous and unselfish risk we would have ended up with two Bibles and a gaping division between a Jewish Christian sect and a gentile church. 1. Use popularity to advance truth. Fame, and a good reputation is a God given line of credit that God wants invested in to restoring fallen soldiers, forcing dialogue on divisive issues, and assimilating new weapons into the Body of Christ. There is a sickness among our preachers. Once fame or popularity is achieved, their goal becomes to sustain that popularity by avoiding all controversy. We see this everyday in sermons that sound like fortune cookie platitudes. Jesus said, “He who seeks to save his life will lose it, be he who loses his life for my sake shall find it.” This applies to fame. If God gave you promotion and you derail its purpose by trying protect it, you will lose your promotion. On the other hand, if you faithfully impart truth you will enjoy continual increase. Ask yourself: Did I distance myself from a brother who fell and is trying to get back up? Do I refuse to champion gifts that I know are of God, because they are exotic and controversial? On the other hand, have I given into having meetings that are emotional binges because I can control people? 2. Do not care about who gets the credit for revival or breakthroughs. Pastor or not, be the one in your city who reaches out with a pure heart to see all of the Body of Christ joined in a righteous cause of winning souls. It will take courage, and sadly you will take abuse and see how really sick leadership is today. It does not matter who gets the credit, or if only a few join you. It is worth every drop of abuse because I know of nothing that would throw the devil under the bus more immediately, that God bless more greatly, and is more urgent in saving America. If you are in the Bay Area please join Mechelle and I tonight for an explosive time in worship, wonders, and the word of God. Dream House tonight May 25 7:15PM. We are located at 1015 Estudillo Street Martinez CA 94553. Call us at 925 300 3007.